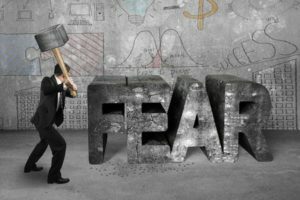 How to overcome fear. Finding a good solution has been a goal of mine for years. Fear has stopped me cold on so many projects and goals, usually for no reason. While particular concerns are justified, most are overblown in our mind. Seventy to eighty percent of the things we fear never come to pass. I’ve found that writing down my fears is a good way to get past them. The stronger the writing, the more motivation I have to overcome them. Fears often come in groups. Singling them out brings victory. It is well known that growing a business is not for wimps. It takes hard work, dedication, focus, and a touch of luck. Even with all that, sometimes the odds still stack up against you. There comes times in our businesses and in our lives where events start piling up, creating, in first blush, what looks like insurmountable obstacles. So what to do when the odds are stacked against you? I would like to share what I learned when the odds stacked up against me. Recently I ventured into a move from Utah to California. I had a lot of big work engagements coming up, so if I was going to make the move, I needed to do it fast in order to be available for the events I had previously committed to. Just like any big project, I set out the goal in April—to move to California before July. My family and I committed to the move and put our house up for sale. We had an unusual home and thought it might take a year or two to sell. To everyone’s surprise, including us, our house sold in two and a half days after listing it. We now had a deadline to get out of the house. We had just finished packing our trailers of stuff, which were on the way to California, when we got the call that our house was no longer available. Despite the contracts we had in place, the house, without our knowing, had been foreclosed on. There we were, stuff halfway to California, and we had no home. Often in business when you are on a worthy pursuit, you may run into some major challenges. I call it—the universes way of checking to see if you really want it. When you decide that you are being checked, the first step is to determine if the goal is still something you want, and it’s going to be worth the price to get it. Sometimes what we are going after is a nice dream, but when reality strikes it becomes apparent that it simply is not worth the effort. If the goal has lost its luster, and it’s clear that it is not something that you want to go through all the grief it will cost to obtain, it is best to re-evaluate and maybe make different plans. If, on other hand, it is something you still want, then you need to proceed to the next step. Well, I really wanted a home, therefore I went to the next step. In a room absent of couches, chairs, or any furniture at all, I sat down on the floor in the midst of half filled boxes and looked at my brother and husband. “Well, what are we going to do?” my husband asked. “That’s impossible,” both my brother and husband said. “Okay,” they said, and shrugged. They didn’t want to get in my way. I didn’t blame them. I didn’t want to get in my way either. I was more than determined. This was my home we were talking about. I was going to do whatever it required to get the house. I didn’t care what got in my way. This kind of determination is not the easiest to have, but when you have it—it’s powerful. I knew and I know that anyone else who has this kind of determination will find a way. When we left for California, a lot of obstacles truly tested my resolve, including a traffic jam that made it so we traveled two miles per every two hours. We literally crawled into California. I was the only one in the car whooping and hollering when we made it across the board. The symbolism of crawling into California was truly rich for me. When our van started overheating, I knew that this absolutely was a test of endurance. As we drove, I kept ongoing communication with our Realtor and would tap the screen of my phone, only when possible, to view virtual displays of homes. I lined up a house to see, and the Realtor communicated with the owner. We pulled into town about 7 pm. Three hours later I had a verbal agreement from the buyer. We were going to close on Wednesday. My biggest take-away was when I was pushed up against the wall and things were stacked against me. That’s when I recommend to plow ahead. Be clear what you want and charge forward. Laughs and scoffs of others mean that you are on the right path and you are getting close. Play bold, and what you viewed as the impossible just might become possible. 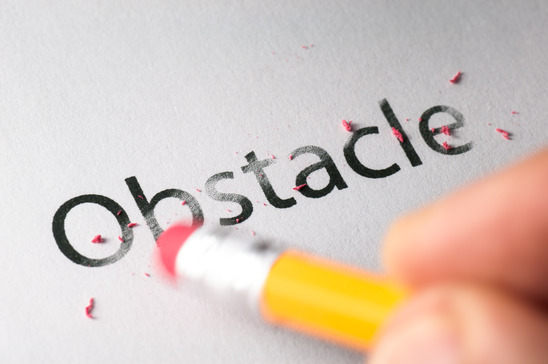 Question: How have you overcome obstacles in your life? 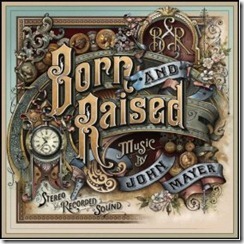 I just downloaded John Mayer’s new album, Born and Raised, from Amazon and have been blown away by the lyrics. One song really spoke to me. It’s called “The Age of Worry.” I’ve struggled with worry all my life, but especially when walking down a new path. The fear of what’s around the next corner has stopped me dead in my tracks so many times. I knew I wouldn’t be perfect. I knew there would be many mistakes. I knew people would point out my shortcomings. Yet somehow, something inside helped me make it through. And sing Worry, why should I care? Worry, get out of here! If things aren’t going so well, it’s a great time to look forward, plan out a path, and set some goals. It’s also a great time for reflection. I always like to look back at the previous year and do some accounting… and ask myself; what went right, and what went wrong? While I like to focus on the successes, it’s also good to look at what went wrong. This simple reflection is helpful for overcoming failure in life. Failure can offer great insight. 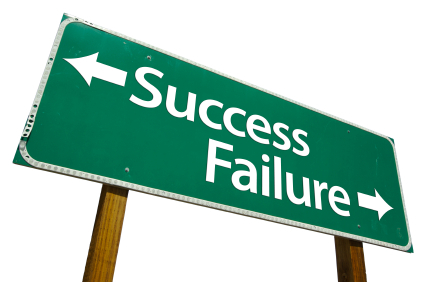 Failure can offer abject proof of something that didn’t work. If we don’t learn from our mistakes, we are bound to repeat them. So.. on this note I decided to come up with a failure checklist. 1. What can we learn from this? 2. How could we have done things differently? 4. What does this make possible? Actually taking a few minutes and writing down the answers can yield some amazing results. Putting things on paper allows our mind to consolidate thoughts and come up with solutions. 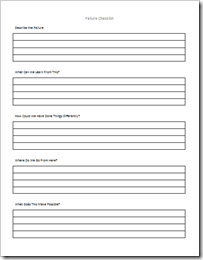 To make this easier for you, I’ve created the failure checklist in a MS Word template that you can download and print out for free. This simple exercise has given me greater clarity as I plan out my goals for the New Year. It has given me some surprising answers to some tough problems. The act of actually writing them down has allowed me to visualize the problems and come up with solutions. Question: Do you think a sheet on overcoming failure in life will be helpful? Are there other questions that you might ask?